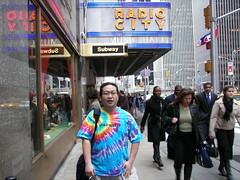 I took a quick trip into NYC today to have lunch with two ex-coworker friends at AOL, Julio and Rob. As I’ve always said, AOL was a fantastic place to work because of the people and it’s what I miss most about not being there any more. Julio was kind enough to take this picture of me today and he’s uploaded it to his Flickr photostream and he’s even used it as blog fodder. I’m always ready to help a friend out, you know? I go away on vacation for a week and what news do I come back to? Jon Miller’s no longer CEO of AOL. I don’t want to say too much about this decision (Ted, Jason and Sree say plenty about it), but let me sum up my thoughts: they’re taking someone who proved his immense capability in three years of AOL’s most challenging times with someone who after 31 years only achieved #2 status at NBC. Draw your own conclusions. Looks like I’m not alone in the “AOL’s recently unemployed” list. Jason Calacanis and Sree Kotay are also on it, now. The next few weeks will be very interesting to see who else is on it. Update: Holly is also on the list. As of December 1, so will David Habib, apparently. Ryan Block suggests that Tina Sharkey is leaving AOL, too. Update: December 14th brings more news: Carl Hutzler, Eric O’Laughlen. Update: On January 13, 2007, C.K. Sample III announces his resignation from AOL, too. Ted Leonsis proudly tells us that AOL is now giving away–for free–it’s superb Parental Controls! If you have children who you let use the Internet, you should take a look at this. Perhaps you were an AOL subscriber and gave up AOL’s Parental Controls when you cancelled your service when you signed up for cable modem or DSL service: now you can have it again, for free, protecting your kids while using your high-speed service. If you have any questions or difficulties, just let me know in the comments below and I’ll do my best to help. New Space – There is hope! As an aside, the title of this blog entry (“This is not my beautiful chair!”) is a line from Weird Al’s Polka Party! “Dog Eat Dog”. If she was pressured to leave AOL yesterday over the search query data release, that is a very bad omen. For AOL, being risk-averse is a losing strategy. Punishing people for making innocent mistakes is a sure-fire way to only retain those risk-averse people. Those are not the kind of people who embody entreprenurial spirit–the kind of people who give AOL at least a fighting chance at launching products that might actually win in the marketplace. Wherever you are, wherever you go … Maureen, I wish you the best of luck. Keep doing what you think is best and right. It’s a pity things didn’t work out in your favor at AOL. Keep in touch, it’s a small world out there. 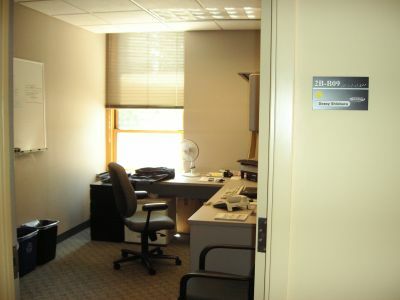 The time has finally come for me to pack up my office, 2B-B09, up here in White Plains, NY. 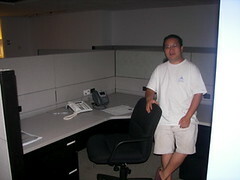 Three years ago, around this time of year, I started at AOL and set myself up in this office. 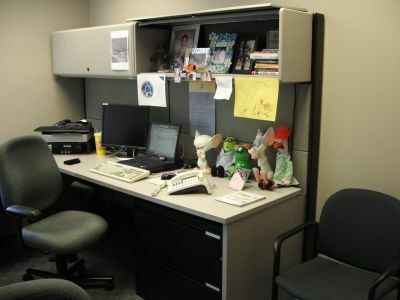 I’ve worked with some really great people in this office on a wide range of projects. 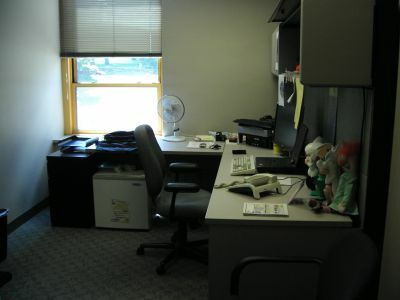 Over the years, people have come and gone, and the office has become a ghost town, of sorts. Perhaps it is finally time to pack it all in, after all. 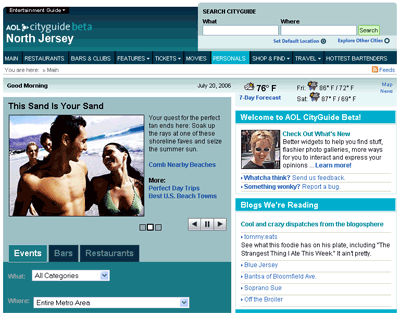 The beta of AOL CityGuide was announced today (see the list of cities in beta). Since my current project–you know, the one that makes me want to find a new job–is tangentially involved with CityGuide, I have some interest in the product. 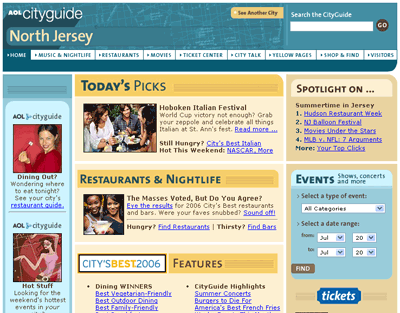 What do you hate about the new AOL CityGuide beta? What features are missing? Looking for something you can’t find? What is wrong with it? Anything broken or stupid? What would it take to make you want to use the product? Of course, I’d love to hear your positive feedback, too! Tell me what you love about the product, what you find most useful, how you couldn’t live without it, and so on. I’m sure the folks working hard on the product would appreciate hearing it, now and then. But, I think if we listen to and act on the negative feedback, it will lead to more people eventually giving positive feedback, so tell me what’s on your mind.